It’s no secret that food trucks are becoming the quirkiest successful business venture in recent years. Fairs, concerts, downtown cities, college campuses — they’re popping up all over the place. With their excellent recipes and flashy designs, they’re catching the eyes — and stomachs — of people everywhere. If you’re trying to launch your own specialty food truck business, you’ll need to know a few things to secure a supportive following. SpeedPro Imaging of Apex will work with you to make sure your equipment is fully decked out in custom food truck wraps and graphics. That way, not only will you capture the attention of people passing by, but you’ll also set yourself apart from the competition lined up all the way down the block. If you’re ready to dip your feet into this exciting adventure, get ahold of our studio immediately. We’re open to helping new and established businesses in the areas surrounding Apex, Cary and Raleigh. 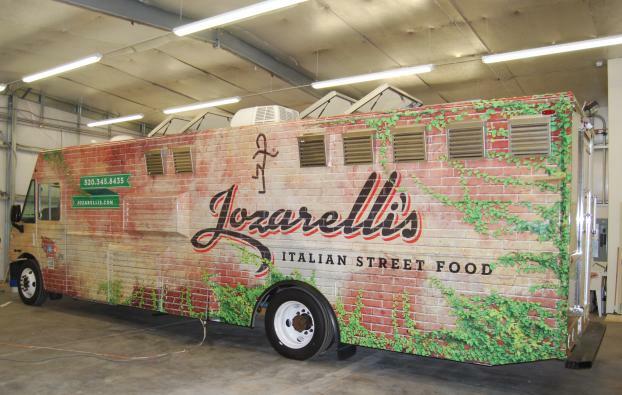 At SpeedPro, all of our food truck graphics are entirely customizable to meet your branding needs. Our team is knowledgeable and skillful in marketing and design, able to analyze your business and brainstorm alongside you to find the segments of your brand that have the greatest potential for emphasis. The key to a successful, attention-grabbing food truck display is using fade-resistant inks to accentuate a variety of graphics. There are multiple ways to customize your food truck, and it all depends on the design and coverage your brand requires. Full coverage is ideal for new companies just starting out in the game and for those who are successful and ready to up their self-promotion. 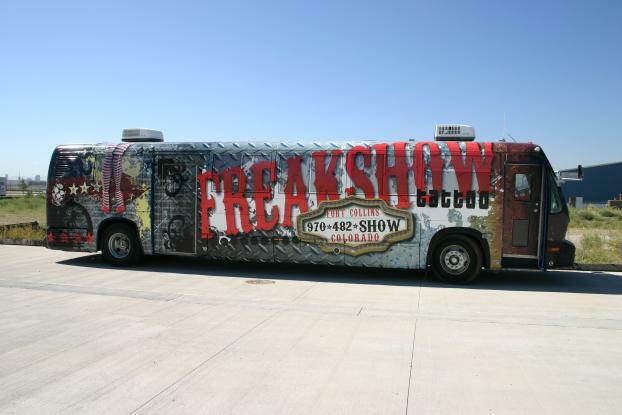 Wraps and food truck skins can cover the entirety of your truck, from the sides to the awning above to the back doors. Perforated film is an ideal way to grab attention with vivid colors. The film can be placed over the top of windows while still allowing people to look through them. 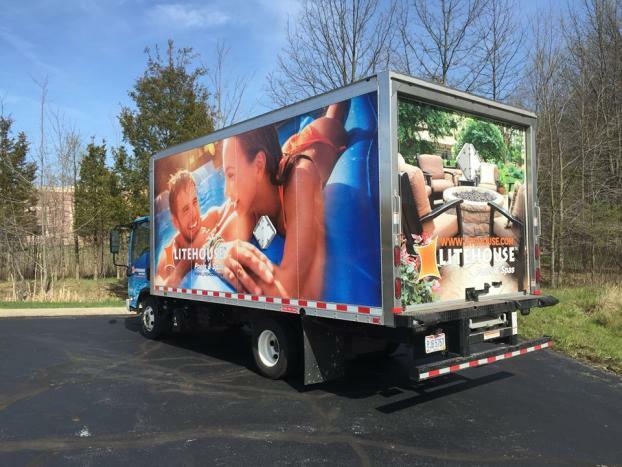 It can also be put on the siding of your truck, emphasizing a bold color scheme you’ve built for your brand. 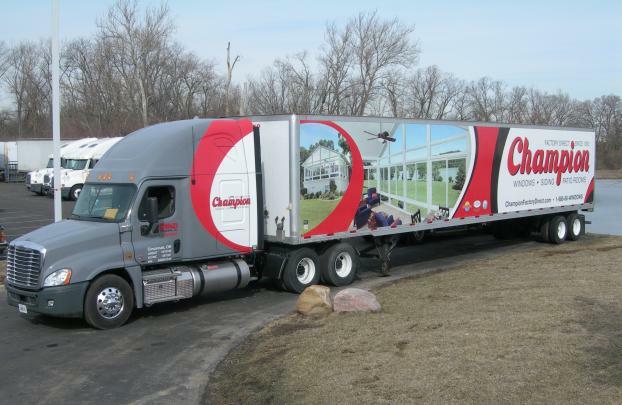 Other vinyl products that can adhere to your truck include spot graphics, decals and lettering. Do you specialize in particular food items like fries, hot dogs or burgers? Use decals to present these items across your truck. You can even get creative with typography as you use vinyl lettering to display your business name across the awning and detail your menu on the side. SpeedPro Imaging of Apex wants your food truck venture to succeed, and we’d love to help out in the creative department. If you’re looking to get started now, call us right away, and we’ll set up a consultation to discuss the details of your business and brand.